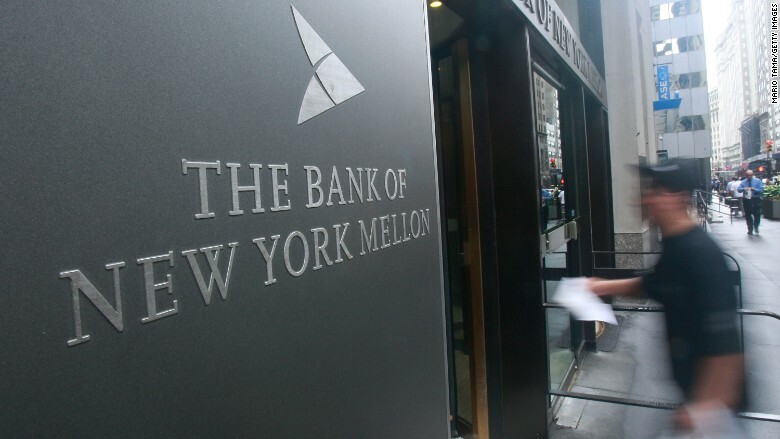 Bank of New York Mellon will pay $15 million to settle charges that it violated an anti-bribery law by hiring interns that were relatives of Middle Eastern officials. The U.S. Securities and Exchange Commission alleged that BNY Mellon breached the Foreign Corrupt Practices Act in 2010 and 2011 when bank employees "sought to corruptly influence foreign officials in order to retain and win business managing and servicing the assets of a Middle Eastern sovereign wealth fund," according to an agency statement. "These officials sought, and BNY Mellon (BKPRC) agreed to provide, valuable internships for their family members," the SEC said. "BNY Mellon provided the internships without following its standard hiring procedures for interns, and the interns were not qualified for BNY Mellon's existing internship programs." The settlement is one of the first SEC actions under the FCPA, which includes anti-bribery provisions -- giving anything of value to a foreign official in exchange for business deals is prohibited. It also sets a precedent that even the hiring of interns could be scrutinized under the law. According to media reports, U.S. regulators are also investigating whether many of Wall Street's biggest banks including JP Morgan, (JPM) Citigroup (C) and Goldman Sachs (GS), hired the family members of Chinese officials in order to secure deals. The banks generally say they're conducting normal business operations accepted in other countries, and that they have to engage at that level in order to remain competitive. But with BNY Mellon's fine -- and ongoing probes -- U.S. regulators seem to disagree. The act of hiring relatives of a foreign official is not banned under FCPA, but it would be considered a violation if the decision was made with intent to win favors or business. BNY Mellon did not admit to or deny the allegations in the SEC statement. The bank did not immediately return a request for comment.